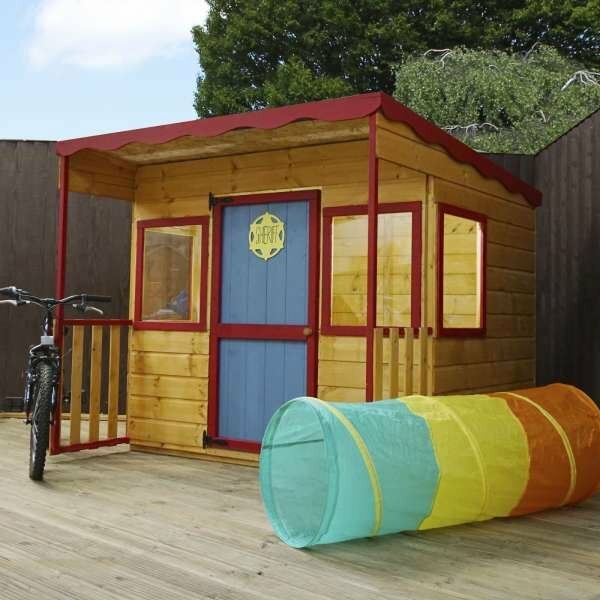 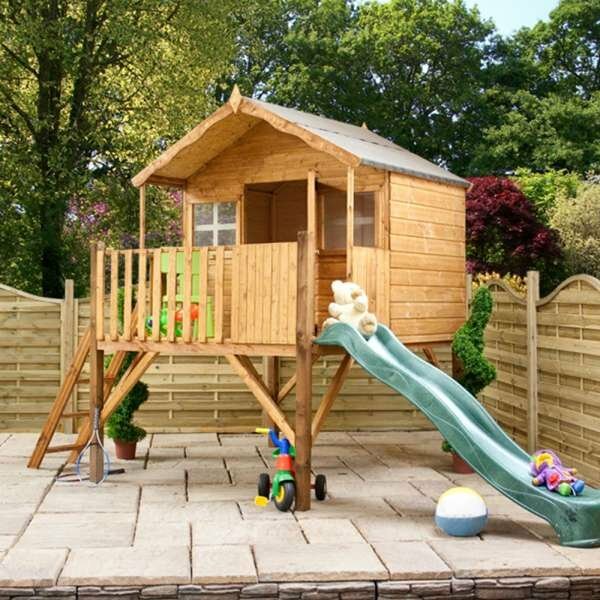 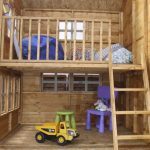 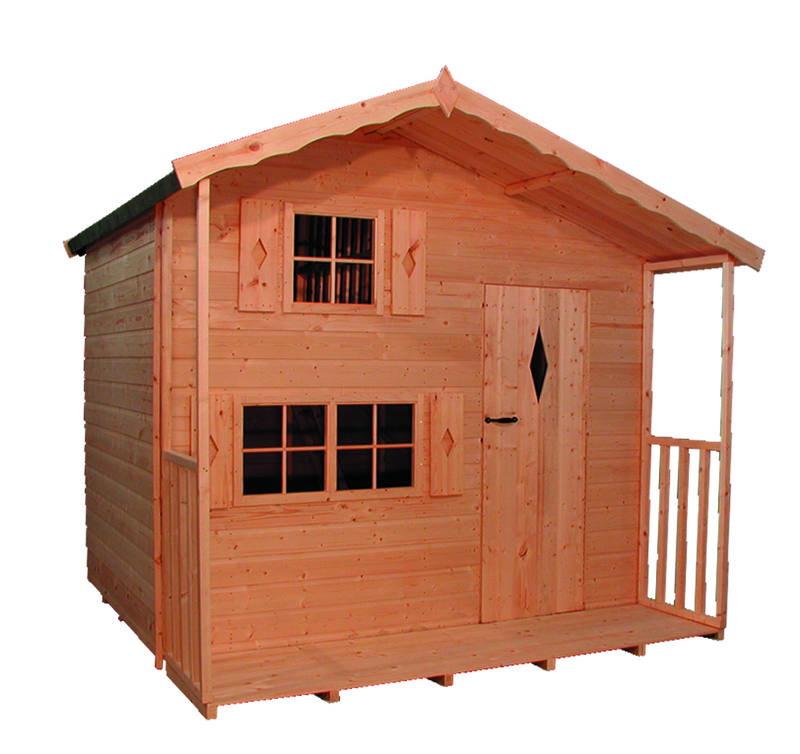 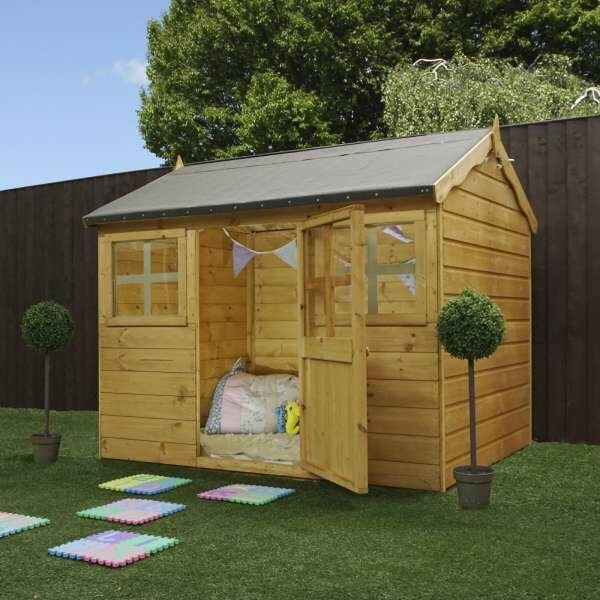 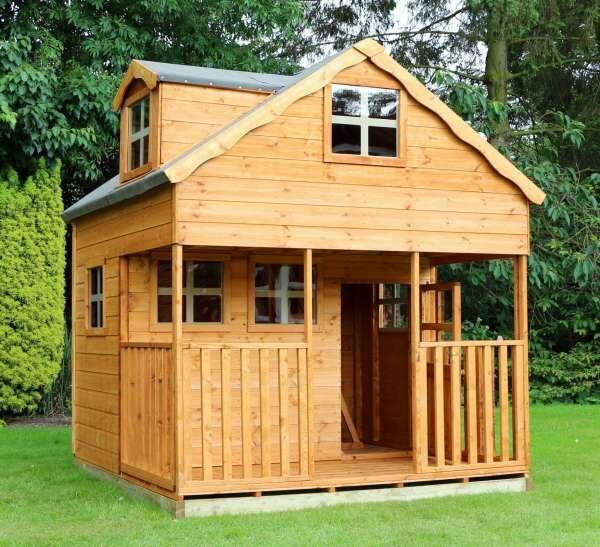 Our Bramble Playhouse hosts a spacious loftarea, kids love to play in. 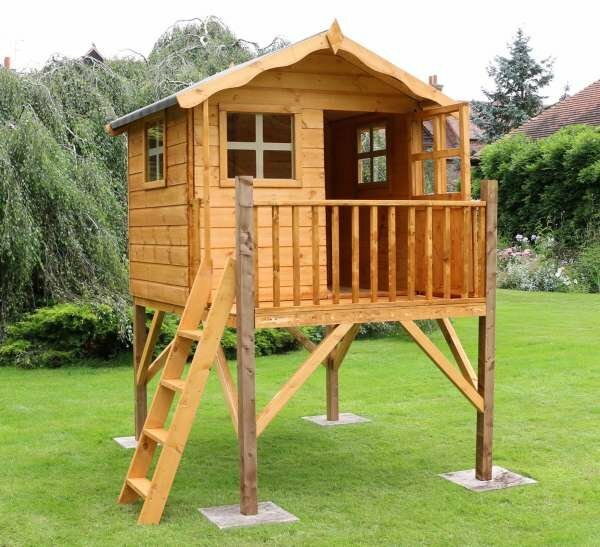 The first floor comes complete with internal safety rail and non-slip tread ladder. 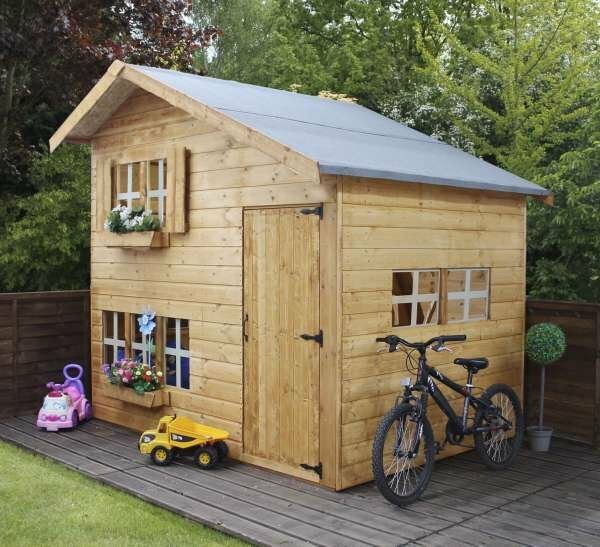 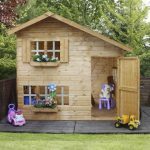 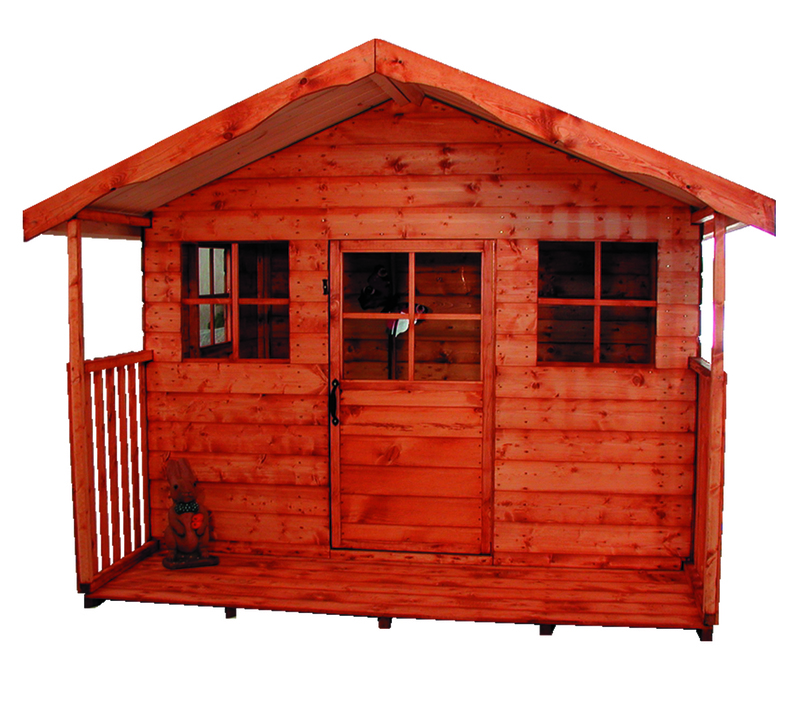 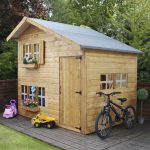 These lovely wooden playhouses come with shutters, window crosses and window boxes for added character. 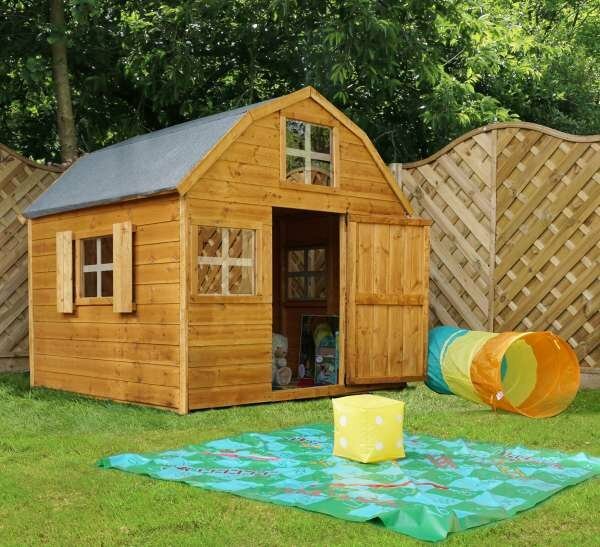 Plenty of windows ensures natural light floods the interior making this playhouse the perfect play area.